Sperwer B is a long-endurance tactical unmanned air vehicle being developed by Sagem. 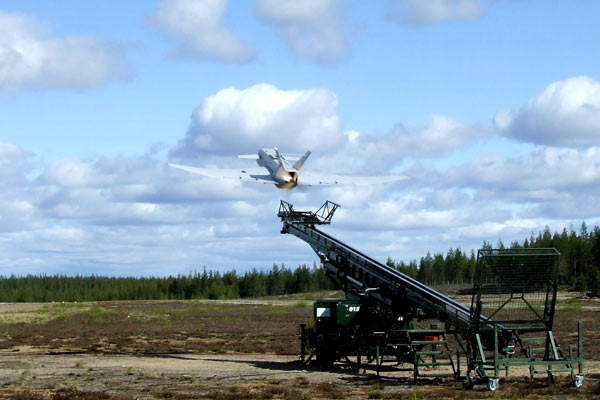 The Sperwer B launch test in Kemijarvi, Finland in June 2006. Sperwer B ignition at Kemijarvi, Finland. Sperwer B fitted with the Sagem OLOSP electro-optical payload. Compared to the Sperwer A, the B version has twice the payload capacity and endurance. Sperwer B (Sparrow Hawk B) is a long-endurance tactical unmanned air vehicle and a variant of the Sperwer A (formerly called Sperwer). Sperwer B can be used for long-endurance missions such as battlefield surveillance, as a communications relay or be armed for combat missions. Sperwer B is being developed by Sagem. 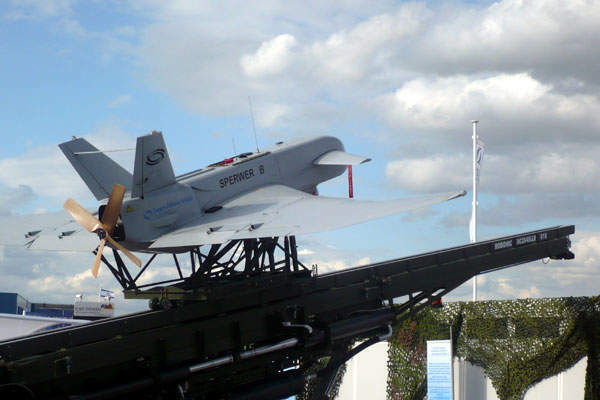 Sagem was awarded a contract by the DGA for the development of a future-generation unmanned air vehicle for the French Army in 2006 and the development programme is based on the Sperwer B. 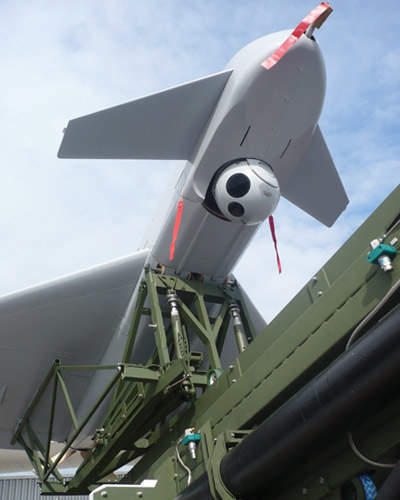 The DGA also awarded Sagem a contract for a study of an armed configuration UAV. 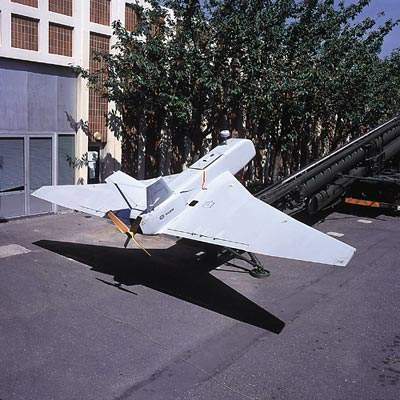 A prototype interim design version first flew at the Mourmelon range in 2001 and the first flight of the Sperwer B was in 2004. Compared to the current Sperwer A, the B version has twice the payload capacity, 100kg for Sperwer B and 50kg for Sperwer A, and twice the endurance, 12 hours for Sperwer B compared to six hours for Sperwer A. "Sperwer B (Sparrow Hawk B) is a long-endurance tactical unmanned air vehicle and a variant of the Sperwer A." 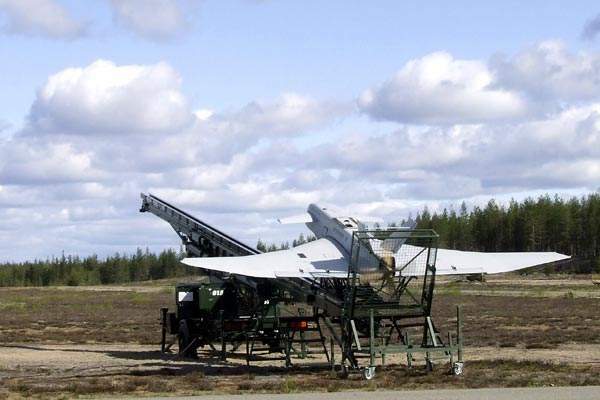 A series of endurance test flights were successfully completed at the Robonic Arctic test UAV flight centre in Kemijarvi in Finland during 2006. Sperwer A has been ordered by the Royal Netherlands Army, the Swedish Army (Ugglan system variant), French Army, Greek Army and Danish Army. The Danish Army stopped using the Sperwer system in 2005. Oerlikon Contraves Inc was the prime contractor for the supply of Sperwer for the Canadian Army. Sperwer has been deployed in Afghanistan since 2003 with the UN-mandated International Security Assistance Force (ISAF). The Sperwer B is of similar construction to the Sperwer A and uses a similar fuselage design. The air vehicle has distinctive double delta wings with clipped tips. Swept canards are installed on the fuselage nose. Take-off and landing of the air vehicle is fully automated with catapult launch from the Sperwer pneumatic launcher and a conventional automated landing with parachute and airbags. The MC2555LLR launcher is supplied by Robonic Ltd of Tampere, Finland. Sperwer B has an advanced digital avionics suite with digital Ku band (15GHz) datalink with a range of 200km, transponder / IFF mode 3C and a VHF relay with air traffic control (ATC). Sperwer B is fully compatible with the Sperwer A mobile ground control station. Two air vehicles can be controlled simultaneously from a single ground station. The ground station is provided with advanced technologies including 3D mission planning, geographical information system and connection and interoperability with C4I networks. The Sperwer B air vehicle can carry a maximum payload of 100kg which can include electro-optic / infrared sensors, electronic and communications intelligence (ELINT / COMINT) and synthetic aperture radar (SAR), for example the Selex Picosar miniature SAR. "Sperwer has been deployed in Afghanistan since 2003 with the UN-mandated ISAF." Danish, Dutch and Swedish Sperwer systems have been equipped with the Sagem Euroflir 350 (or OLOSP) electro-optical payload, a variant of the system fitted on the NH90 helicopter. OLOSP can include eight to 12 micron IRIS thermal imager, three to five micron MATIS focal plane array thermal imager, CCDTV colour camera and laser rangefinder / designator. Sagem is developing a new electro-optical / infrared sensor capable of 5cm (2in) resolution from 9,000ft (2,750m). The system has embedded sensor to shooter capability. The double delta wings can be fitted with under-wing pylons that can carry a payload of 60kg (30kg each). The lightweight pylons can carry rockets or air-launched missiles. Weapon payloads could include the Rafael Spike-LR anti-tank missile and the Bonus munition from Nexter / BAE Systems Bofors. Spike-LR has a range of 4,000m and fibre-optic / imaging infrared guidance. Bonus is a 155mm munition with two sensor-fused submunitions and a range up to 35km.